Marilla Ronald is a 1990 graduate of the Santa Clara University School of Law. She is certified as a Family Law Specialist by the State Bar of California Board of Legal Specialization. 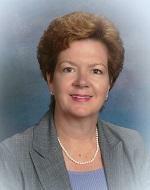 Ms. Ronald has practiced family law since 1992. Ms. Ronald is a voluntary attorney mediator at Settlement Officer Conferences in Santa Clara County Superior Court. Ms. Ronald has experience handling complex family law cases and will be an advocate in court if a trial or contested hearing is necessary. Ms. Ronald will also actively try to negotiate a settlement before a case goes to trial.